Looking for a protective wood stain that’s going to take your home through for the next 5-10 years? 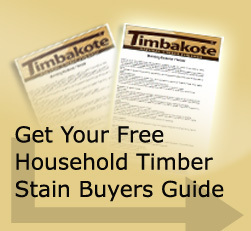 Timbakote timber finishes are easy to apply and have longer term durability. We make 100% acrylic protective stain coatings that have enhanced durability, Environmental-Choice NZ approved and manufactured in New Zealand. Timbakote supply exterior & interior wood stains manufactured for New Zealand's harsh conditions. Timbakote can be used on all exterior & interior timber applications and textured claddings where a long lasting natural finish is required. Check out our Testimonials and Test Reports. Three exterior & one interior coating system. "James Hardie recommends film form stain coatings such as Timbakote for a natural timber look and long term protection of their Textured weatherboards." "For a traditional rustic stain look on Shadowclad Ply & Shadowclad Prime Ply, CHH Woodproducts recommend Timbakote Natural Timber Finish & Timbakote Rustic Timber Finish film form protective stains that can provide enhanced durability."